ESCAPE ROOM: Secrets at the Museum - talent network, inc.
Bring the entertainment phenomenon sweeping the country to YOU! Bring the entertainment phenomenon sweeping the country to YOU. 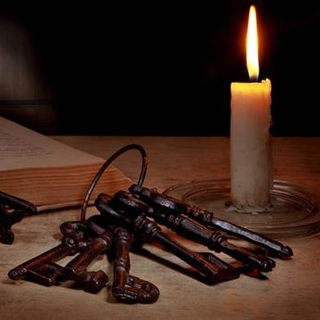 In an Escape Room, guests try to solve a series of puzzles to complete a task. Players will enter a space and attempt to decipher clues in a set amount of time. Here’s the challenge…you and your fellow teammates are at a Museum of Natural History. You are attempting to obtain multiple priceless artifacts that were given to the museum by an eccentric benefactor. Each item is booby-trapped in a strange and unusual way. How many of the artifacts can you get free in the allotted time? Secrets of the Museum can be configured in different ways to give your students, employees or guests a challenge! Mini Challenge: Allow for more participants to play by dividing Secrets of the Museum into rooms with five players each for 15 challenges. We can create up to six mini rooms with pipe and drape that accommodate up to five participants per room per 15-minute challenge OR guests can play the games using actual rooms at your location. We Provide Pipe and Drape Rooms…we can create six pipe and drape rooms in your ballroom or gymnasium – up to five participants per room play at a time. After watching a short briefing video, they enter each room with 15 minutes to complete a challenge. When time has expired, they exit to allow a new group to enter for their 15-minute experience. 80 to 100 players can be accommodated per hour. Do you have a smaller group? 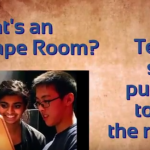 Another option is to have each of the six rooms set with different challenges with each team of five players moving from room to room in sequence to ultimately solve the mystery! If YOU Provide the Rooms…you provide (at least) two escape rooms in which five participants can play at one time per provided room. After watching a short briefing video, they will enter each room with 15 minutes to complete a challenge. Once time has expired, they exit to allow new groups to enter for their own 15-minute experience. OR each of the rooms can be played in sequence with groups moving from one to the next to ultimately solve the mystery. 30 to 35 players can be accommodated per hour.